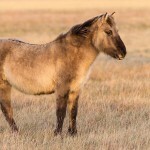 The Heck Horse is a breed of small horses that were produced not just to look like but also possess some of the traits of the extinct Tarpan horse (Equus ferus ferus). These horses with their gentle nature are quite strong to carry both the children and the adults. 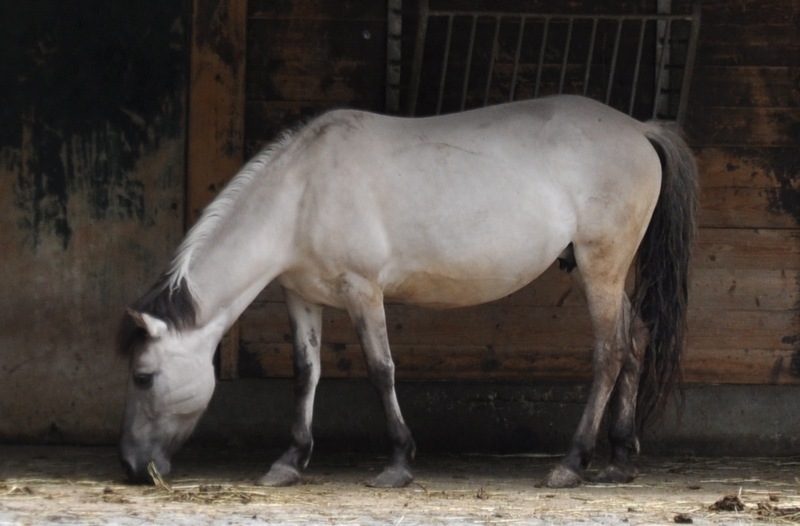 The breeders are now crossbreeding these horses with some of the other breeds including the Arabian and the Welsh pony to create larger equine breeds with the primitive characteristics of the Tarpan. 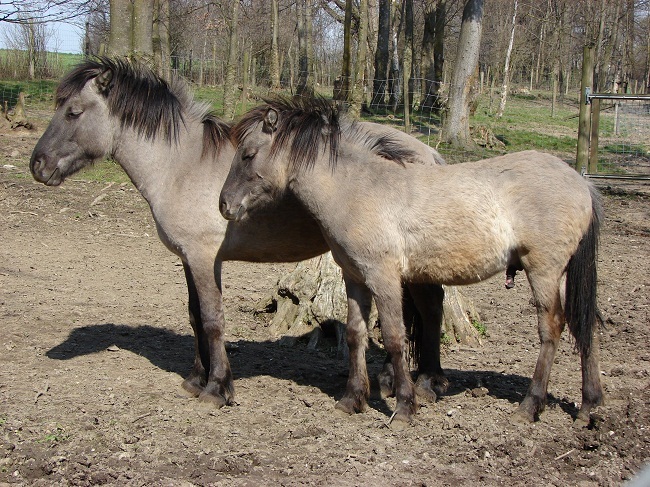 The Heck brothers (Lutz Heck and Heinz Heck), in an effort to genetically recreate the Eurasian wild Tarpan horse started working at the Munich Zoo (Tierpark Hellabrunn) in the early 1900s. They thought that back breeding the progeny of the Tarpan would successfully produce the extinct species. Several other breeding programs also utilized the idea, but genetically different stocks were used to develop a species that would look like the Tarpan. 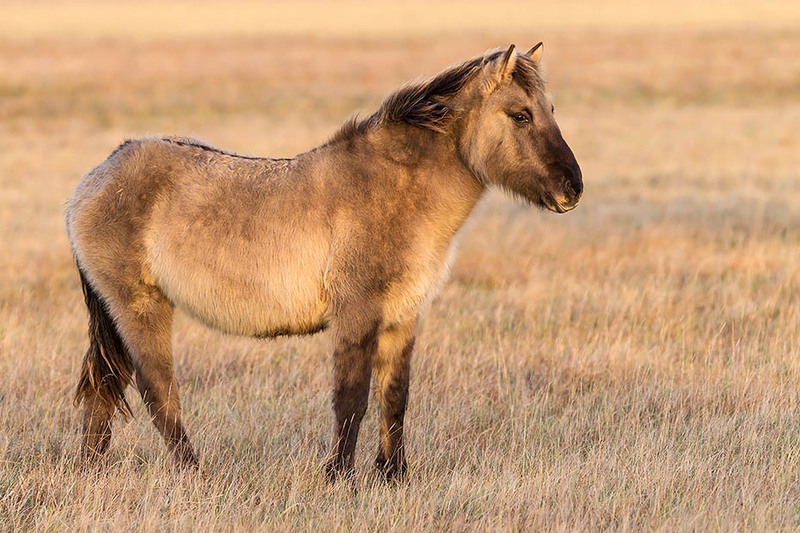 The Heck brothers crossbred several European breeds of small horses and ponies that are considered the descendants of the Tarpan. 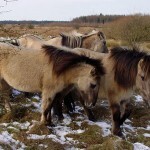 The mares of Swedish Gotland pony, Polish Konik, and Icelandic horses were integrated, and these mares were mated with the wild Przewalski’s horse stallions. The offspring produced from the initial crosses were mated with each other. In 1933, this breeding program resulted in the birth of the first foal that had the dun coloration. 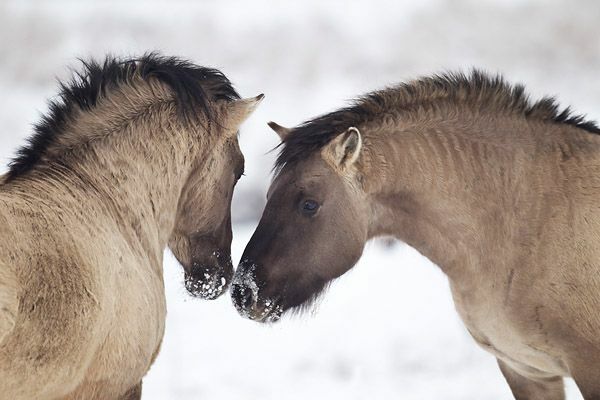 Only those horses that exhibited the preferred coloration, skull shape and bone structure were used in breeding these horses. 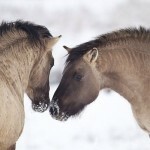 As the young horses inherited the traits of their parents, the structure and coloration of the equine breed became set. During the Second World War, the breeding stock was obtained from the German-occupied nations. 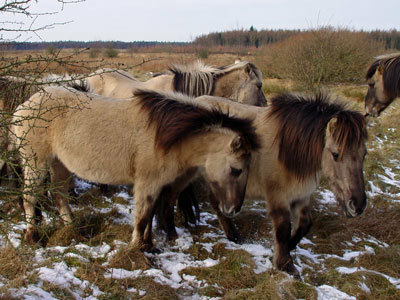 The Heck brothers used the Konik horses that were previously reintroduced into the Bialowieza Forest in Poland by the Polish biologist Tadeusz Vetulani. After the war, the horses were again sent back to the forest. 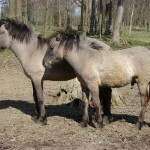 A small number of these horses are still seen in the Bialowieza. The Heck horse was first imported to the US in 1954, which was followed by three more horses – two mares in 1955 and the third mare in 1962. The first stallion along with the three mares became the foundation stock of the breed in America. The Heck horse lovers with an intention of promoting the breed established the North American Tarpan Association in the 1960s. 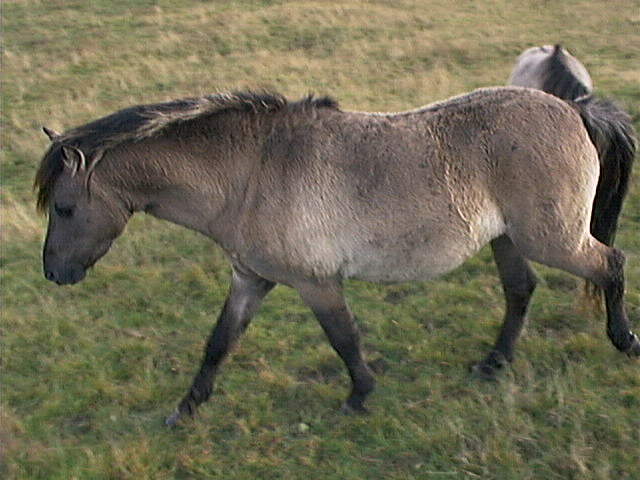 The hooves of Heck horses are so strong and sturdy that they do not require horseshoes. The first Heck brought to America was a stallion called Duke. 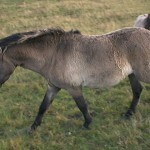 Some European breeders now cross Thoroughbreds and Heck horses to create field hunters used for hunting stags and foxes. A study in 2013 showed that a few feral Hecks lived in Latvia.